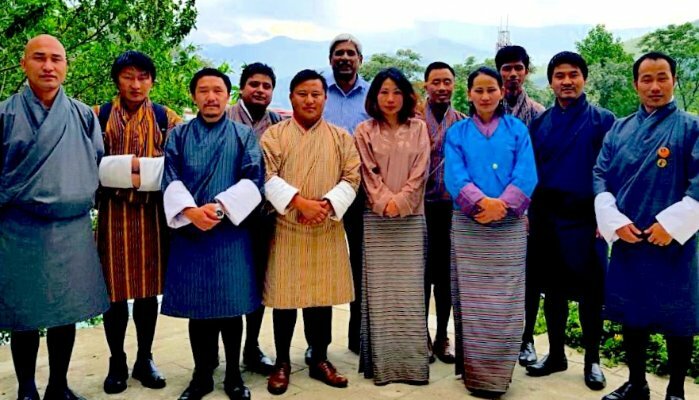 Photo (above): Rama as a consultant with the local industry development team in Bhutan. 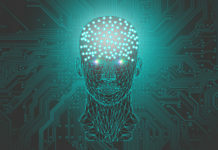 As planned, this is the second installment of my article tilted ‘From intelligence to smartness’. It’s nice to gloat about Sg’s past tech achievements but lets not get too trapped and carried away with our 20/20 hind sight. Our previous four decades of 6 national masterplans have served Sg well as a compass for our digital transformation journey, its also an effective runway for our next smart nation challenge. I had the privilege of being consulted about our Sg’s tech journey in countries like Oman, Trinidad, Brunei, Bhutan, Cambodia etc. But today, we have to be more mindful about the changes that are taking place with the current tech landscape. This is probably the best opportunity for the private sector to take the lead, time is ripe for the big switch, we should move away from relying too much on our government.The new nexus should gravitate more towards the private sector, they should take the lead and show the way forward with tried and trusted global best practices. Evidence of this are best demonstrated by the industry in recent years with the ‘shared economy’ concept by leveraging the use of disruptive technologies eg Uber, AirBnB, Grab etc. For a start, committees and special task teams designated for our Smart Nation initiatives should be helmed by leaders from the industry, government should focus more of their efforts in creating more platforms and support schemes to make it less onerous for the industry especially for innovation-related projects! Below are suggestions on 4 key areas which can make a difference in terms of overcoming our smart nation challenges. Most of these approaches are not new, they have been dabbled before, I have merely put a new spin, tweaked old approaches and proposed new ideas for some. During the execution of our last iN2015 intelligent nation masterplan, the emphasis has mostly been on integration, government and private sector teams across organisations cobbled together to ensure that they do not operate as silos and deliver more user-centric services. The current expectations have changed, our city-state can be perceived as a dynamically complex system that evolves in space and time, following trajectories that are hard to predict. As such, it requires a more systemic approach employing both linear and non-linear ways of thinking in search of practical solutions to problems faced by our society. 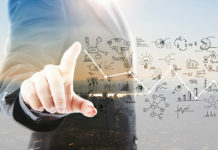 For more effective outcomes, project teams must now be assembled with people that are not only qualified with rich technical backgrounds, but also versed in multi-disciplines or what can be termed as hybrid capabilities, eg disciplines like Social Science, Psychology, Humanities, Product Design, Behavioural science etc. A good analogy to illustrate this point is the often talked about ‘balancing act’ between the User Interface (UI) and User Experience(UX); User-centric solutions are no longer about having good looking UIs, it must be enhanced with proper UXs, only then will it be more readily embraced by end users. Good UXs are better done with people having good design and human behavioral know-hows, something that goes beyond those having only pure technical competencies. Governments and private sector companies can no longer operate in their ivory towers and within their own comfort zones, no one has all the answers for today’s highly complex problems. A new working model must be forged to allow both sectors to come together to share and impart their experiences with the aim to jointly develop workable solutions. This must be done through direct engagement with the users and using effective tools which can facilitate quick iterative problem-solving solutions. Our past experiences with Call-for-Collaboration (CFCs) innovation-related programmes by government agencies have just been too prescriptive for the private sector players to act on, hindering a number of innovative projects from achieving more desirable outcomes. Start-ups and SMEs who are known to be more agile and bold with their ideas and approach must be strongly featured in this new normal. 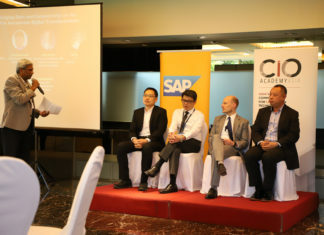 Another key partner in this new collaborative ecosystem are the global think-tanks and innovative ventures like Flex, Innosight, along with other local thought leadership and tech-community setups who can provide fresh perspectives and insights on innovation and disruptive models which could turn out surprisingly to be big game-changers. We should also keep a close eye on other high tech countries like Estonia, Hong Kong, Barcelona etc and forge cross-border collaborations which will mutually benefit each other. Tech solution providers (both local and foreign) from the industry also need new forms of engagement, they should not be treated merely as vendors for their clients, they are part of the partner ecosystem and should feature strongly in the equation by allowing them to be co-sourced (and not just outsourced) for certain critical public-sector projects. 3. Policies and Regulatory models need to be constantly reviewed to support existing business practices. Across different sectors, current government regulators whose jobs are to establish rules for the industry, are having a tough time. Policy makers and regulators must constantly review their existing rules and not just protect the current policies, because new disruptive players and business models are emerging and are shaking the status quo of ‘business as usual’. The current regulatory engines must play the role of ‘referees’, ensuring a level playing field for fair competition to take place and move away from the old concept of being ‘policemen’, and penalize enterprises for wrong-doings. For complex projects where it’s difficult to specify the tender requirements, our government procurement policies and practices must be tweaked to accommodate such peculiarities.Project failures are part and parcel of the development process, it’s a part of journey towards getting it right eventually. There should not be any sacred cows – an often talked about national case study is how our former maverick bureaucrat, Philip Yeo, master-minded the Petro-Chemical Jurong island project from scratch. Philip Yeo did it against all odds, disrupting well-ingrained rules within the government with proper buy-in from the private sector ! 4. Local Research Institutes (RIs) need to be more pro-active and more industry-focused! Our RIs have a very critical role to play in innovation and ensuring that the industry benefits from their R&D investments. More applied research focused on industry-centric programmes must be put in place to allow tech companies to harvest downstream research work of our RIs. The T-up scheme implemented by A*STAR is one very good example of how SMEs could tap on the expertise of specialised research scientists who are attached to the enterprises and help raise their R&D capabilities. Industry and RIs may have to embark on new ways of thinking to find solutions for our society. The current trend involving the use of design thinking concepts to solve problems is gaining momentum among many industry practitioners. Design thinking is about a system of overlapping spaces: Inspiration, Ideation and Implementation. Our RIs must find new ways of creating more effective platforms to educate and share their Intellectual Properties (IPs), which essentially are ‘secret sauces’ which will benefit the industry when it’s commercially monetized. I have highlighted just four salient areas which I hope it will provide food for thought especially for those involved in tackling our next big smart nation challenge! Our nation’s ‘smart’ button has been pressed, the best is yet to come, bring it on!